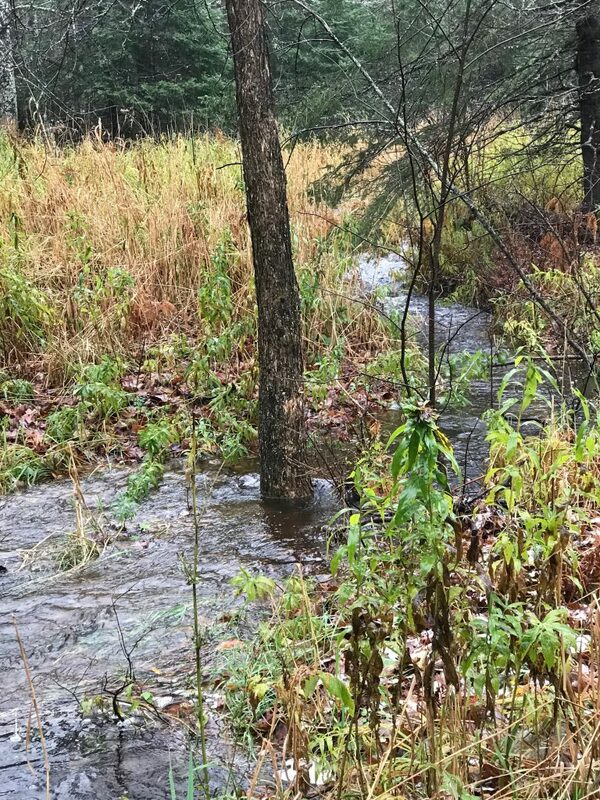 A Stream Runs Through It – Damn Life is Good! There have been a few surprises at Old Overgrown as the seasons have started to change. A new body of water is one of them. We knew there had to be a reason there was a culvert under our driveway. When we moved in, Paul even went into that culvert and cleaned it out (and found a garbage bag of …. squishy things?) But this week, we have a full on, flowing water stream! Next: Gray is the New … Green?